Bethany House Publishers, 9780764212352, 352pp. Ian Wells is a young criminal defense attorney struggling to build a Minneapolis law practice he inherited from his father while caring for a mother with Alzheimer's. Nearly at the breaking point, everything changes for Ian when a new client offers a simple case: determine whether three men qualify for over nine million dollars of trust funds. To qualify, none can have been involved in criminal activity for the past twenty years. Ian's fee for a week's work: the unbelievable sum of two hundred thousand dollars. 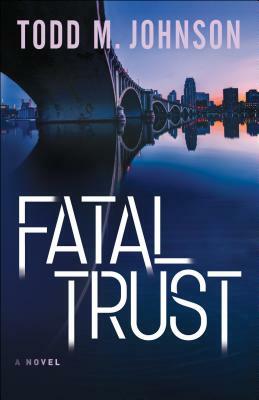 Ian warily accepts the job--but is quickly dragged deep into a mystery linking the trust with a decades-old criminal enterprise and the greatest unsolved art theft in Minnesota history. As stolen money from the art theft surfaces, Ian finds himself the target of a criminal investigation by Brook Daniels, a prosecutor who is also his closest law school friend. He realizes too late that this simple investigation has spun out of control and now threatens his career, his future, and his life. Todd M. Johnson has practiced as an attorney for over 30 years, specializing as a trial lawyer. A graduate of Princeton University and the University of Minnesota Law School, he has also taught for two years as an adjunct professor of international law and served as a U.S. diplomat in Hong Kong. He is the author of The Deposit Slip and lives outside Minneapolis, Minnesota, with his wife and daughter. He can be found online at www.authortoddjohnson.com.